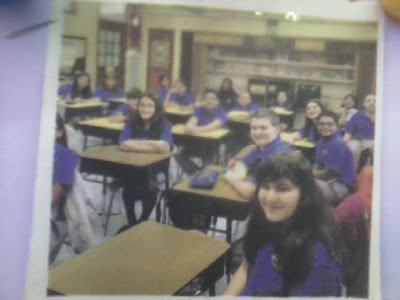 Literary Magazine has been a long standing after school activity at Our Lady of Peace School. The club is open to students grades 5-8th. Mediated by Mrs. Croft and Mrs. Cusick the club meets twice a month. They publish poems, original works, and short stories . At the end of the school year their hard work pays off when they publish their magazine titled "Inspirations".